This particular rifle scope boasts of exceptional long-range accuracy, incredible sighting speeds, effective light transmission, and variable zoom capabilities, making it perfect for both tree stand hunting and range shooting alike! 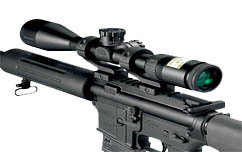 If you are an avid hunter or gamer, then the average scout rifle scope will not meet your needs. In this case it is necessary for you to have and use the best. That is where the Nikon P-223 comes in. 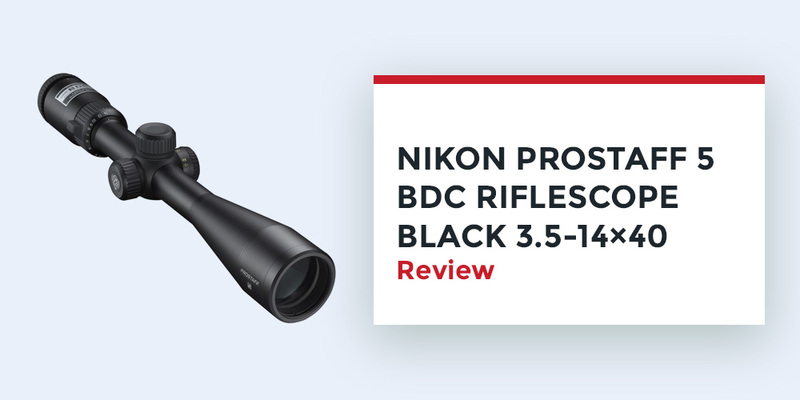 This rifle scope finds itself among a notable list of Nikon precision optics used with AR rifles, and is therefore composed with features that have been tried and tested over the years. So if you are searching for an efficient and accurate rifle scope option, read the P-223 review below. 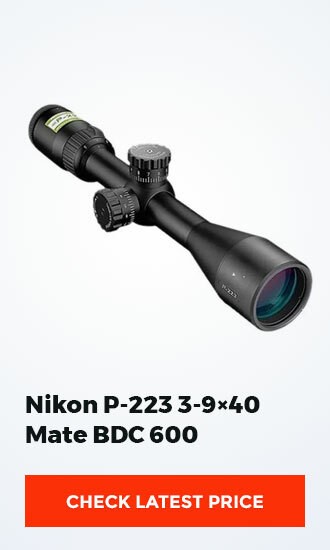 The Nikon P-223 is composed of a BDC 600 reticle, which has been designed with the aim of compensating for your rifle’s trajectory. This reticle has been particularly developed for the AR platform rifle, more specifically for the.223 Remington round which uses a 55-grain polymer tip bullet. This BDC 600 reticle has circles ranging from 100 to 600 yards, as well as hash marks within the circles for multiple hold points. The end result is a rifle scope that allows for exact load and ammunition, and which can be adjusted so that you can quickly and accurately zero in on your target without losing your settings. One thing that all amateur and professional rifle owners complain about is rifle scope parallax. If you are not aware of what this term means let me simply explain it. Parallax on your rifle scope is an error that concerns the supposed movement of objects within your FOV, in relation to the reticle. That is why the P-223 has integrated a 100 yard parallax setting, which eliminates the occurrence of parallax in an effort to promote precise shooting. If you shoot in low-light situations when animals tend to be most active, then effective light transmission through your rifle scope is paramount. TheNikon P-223 has an optical system that is fully multicoated, as well as a 40mm objective lens. This system ensures that you can take advantage of a 98% light transmission rate, so that you can control brightness from sunrise to sunset. This light transmission is perfect for target shooting. The P-223 has been designed for Ballistic Match Technology (Nikon SpotOn), which serves as the next generation of accuracy in shooting. The rifle scope allows for improved ammunition loading and aiming, making it perfect for precise shooting. This technology allows it to be easily used with other Nikon gadgets. When you are in the field the last thing you want to struggle with is complicated field adjustments, and that is why the Nikon P-223 has sought to simplify these adjustments using the Zero-Reset feature. When you are in the field the last thing you want to struggle with is complicated field adjustments, and that is why the Nikon P-223 has sought to simplify these adjustments using the Zero-Reset feature.This technology allows it to be easily used with other Nikon gadgets.! Q: Does the scope use 30mm or 1-inch scope mount rings? A: The P-223 uses 1” mount rings. Q: How long and how heavy is the scope? A: The scope is 12.4 inches long, and weighs in at 15oz. Q: What is the actual magnification of the scope? A: The magnification is between 3x and 9x. 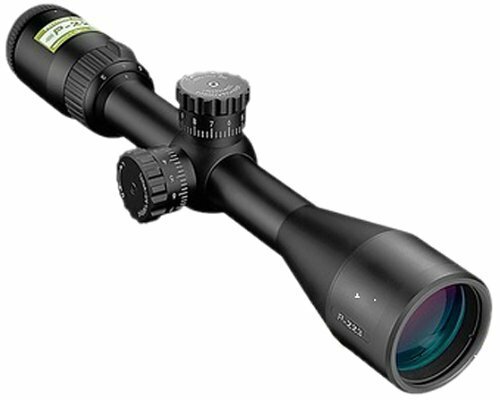 The Nikon P-223 is definitely a top class rifle scope for shooters of all kinds. 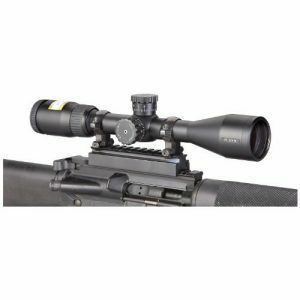 This extremely popular, highly rated, and exceedingly affordable scope offers specifications and features only seen in more expensive options. Additionally, its flexible magnification range allows it to be used with an assortment of AR platforms for everything from hunting to range work. So if you are looking for a great investment that will pay you back tenfold over the years, then The Nikon P-223 is definitely the way to go.